The GE Series Classic range is the popular choice for most Kiwis. These are the best selling high wall mounted heat pumps for Mitsubishi Electric. Smart homeowners who have invested in this range value the timeless design, efficient heating performance and the optional wi-fi operation. These exceptional products are top of the range for quality, reliability and superior heating performance. Known as “whisper quiet”, it’s no surprise they are the preferred model for bedrooms and living rooms. As you settle back and relax, enjoy the cosy warmth and clean air they bring, with barely a whisper. All the models in the range from the GE25 through to the GE35 register at only 19dBA indoor sound when set on the lower fan speed. With so many heat pumps available on the market, this is a big consideration when deciding on what type of heat pump is right for you. If you value peace and quiet in your living rooms, any extraneous noise can be detrimental to your well-being and relaxation, particularly in your bedroom. The GE Series is Mitsubishi Electric’s best-selling high wall heat pumps range ever! This is due to exceptional product quality, reliability and superior heating performance. 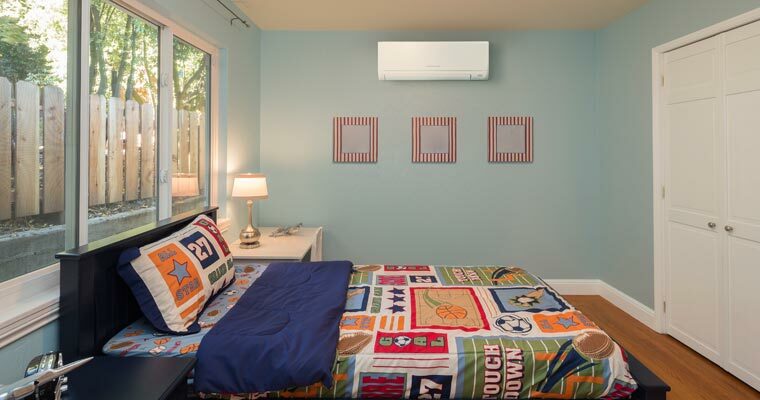 Mitsubishi Electric heat pumps are designed to create the best environment for your home. They truly understand how noise affects relaxation and they are continually developing new technologies to drive comfort for you and design for their products. Mitsubishi Electric are the only heat pump brand to receive a 5 Star rating for quiet performance for three years in a row. This is just one of the many reasons why we partner with them.